At 44 yo my order of priorities is the opposite of BJJ, Work, Family. Thus, being injured again (knee this time doing judo) intensifies this dilemna of priorities. Regarding the injury, dumb-me...I didn't fully warm up and I should have not sparred as my training had been limited at the time. I also have not done any weight training in over a year, which I think helps protect from injuries (and I have started again). The worst part of the injury is not the rehab. Its the wife and workmates essentially calling me an idiot for continuing to train BJJ after having 4 significant injuries in the last 28 months, since I started (that resulted in a surgery and 2-4 months off in each case). 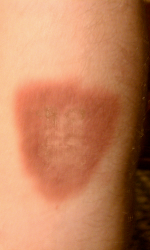 Now, 3 of the 4 injuries came from my, albeit successfull, use of the seio nage. Thus, to me, the solution is clear, no more judo and seio nage. I am inherently clumsy anyways. Thus, I do not blame the sport. I also point out to people that I (slightly) injured myself by falling down the stairs twice and kicking a chair playing Kinect in the same 2 year period. 10. You are too old for that (yes, boring comment, but by far the most often heard comment). 9. Did you ever think of taking walks at the mall instead? 7. Do something easier. What do you have to prove? 6. Your body is not flexible like it used to be. Your tendons and ligaments are like beef jerky now. 1. 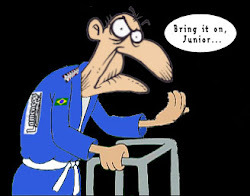 Jiu Jitsu will not make you any younger.